There are no good reasons to spend more time at the airport. Usually those reasons are delayed flights, long layovers or uptight friends who insist you get there two hours early even though your flight leaves at 6:40 in the morning. To combat airport fatigue lots of terminals have stepped up their dining game, bringing in award-winning chefs to open outposts next to the Hudson News. The food at these restaurants is undoubtedly better than what you could get heated up on your flight, but who really wants to build in even more extra time for a meal at the airport? 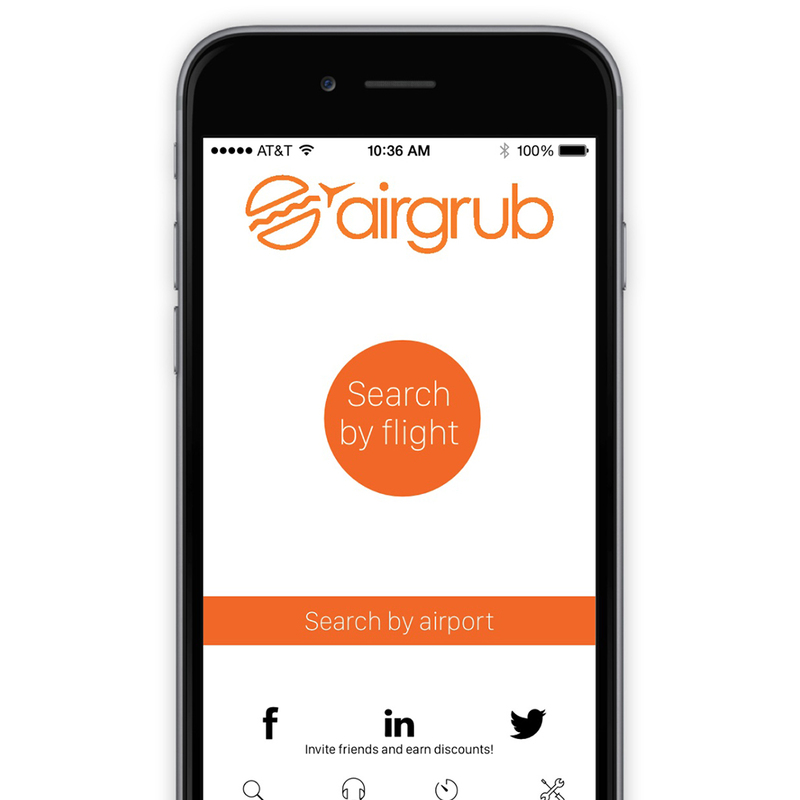 AirGrub, a new app that launches today for both Apple and Andriod, has a solution. It allows you to order food via your smartphone to pickup upon arrival. You’re then free to carry it onto your flight (or scarf it down at the gate like a savage). Everything about the process is automated. Simply enter your flight info and the app will let you know what meals are available in your terminal. Then you can place your order and pay via the app. Your meal is made fresh based on when you plan on picking it up. “When we travel, we don’t walk around looking for which hotel to stay at, so why wait until you are at the airport to decide what to eat?” asks Surya Panditi, co-founder and CEO of AirGrub. Like most new food apps AirGrub’s early reach is limited. The service covers three restaurants across three terminals at San Francisco International Airport – Perry’s, Napa Farms Market, and Yankee Pier. But AirGrub promises that they will be expanding to other airports and restaurants throughout the US over the next several months, hinting that New York’s JFK and Boston’s Logan International are up next. It’s an interesting concept. Especially if they’re willing to have my pre-flight margarita waiting for me, as well.